Yesterday morning, TD Canada Trust announced that they raised their prime lending rate 0.15%. While it isn’t a significant increase, numerically, it is indicative of the ramifications of the federal government’s decision to change the way Canadians apply for and are approved for mortgage financing. In an unusual move, TD Canada Trust increased their own prime lending rate yesterday. This increase won’t affect anybody with an existing fixed-rate mortgage or anybody who is applying for a fixed-rate product; however, anybody with a variable-rate mortgage will see the increase in their annual interest rate, effective immediately. Right now, TD Canada Trust is the only major lender to make this decision to increase their prime rate. The other lenders, such as BMO, CIBC, RBC, and Scotiabank, don’t typically sit well with a gap in their prime lending rates. With TD’s unusual move, the other lenders likely aren’t far behind. What about Bank of Canada’s rate? According to the cbc.ca’s article and James Laird, co-founder of RateHub, it is out of character for a bank to make a decision to increase their own prime lending rate when there is no movement from the Bank of Canada. The nation’s bank has primarily sat out this year, playing observer to the economy and the Liberals’ overhaul of the mortgage financing processes. Normally, it is the other way around. The Bank of Canada increases its own prime rate based on its economic outlook, and then the lenders follow suit. 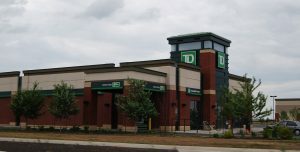 Between the stiffer requirements for new mortgage financing applications and the changes to which mortgage products are eligible for bulk insurance, TD felt that they needed to increase their prime rate to combat the increased costs. As the Canadian housing market continues to face new territory, banks are starting to explore their management of the new roles. Does this prime rate increase affect you? We want to hear from you! Are you undecided whether it’s time for you to buy or sell? We want to hear from you, too. Email us at info@thecondogroup.com to get the conversation going.